About 'Mystery Science Theater,' A Bold Declaration. It's Bold! Marc Hirsh marks the 25th anniversary of the great bad-movie snark-off by taking an unpopular opinion about two poor fellas who got stranded in space playing with robots. About 'Mystery Science Theater,' A Bold Declaration. It's Bold! 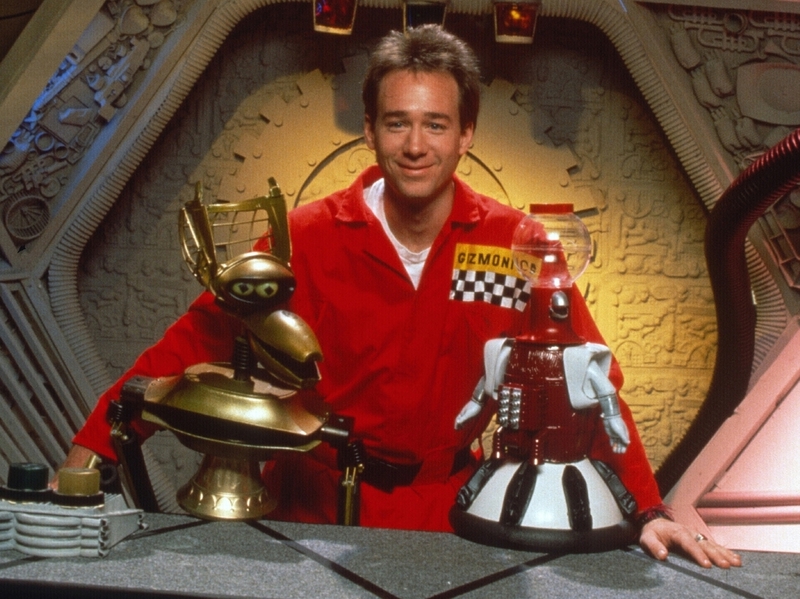 Joel Hodgson poses with Crow T. Robot and Tom Servo, two of his "robot friends." I prefer Mike to Joel. It's an admission that amounts to heresy within the circles to which it means anything at all, which is why I've been carrying it quietly for close to two decades. But that's too long to be ashamed of how I feel. I think Mike was the better host, and I no longer care who knows it. 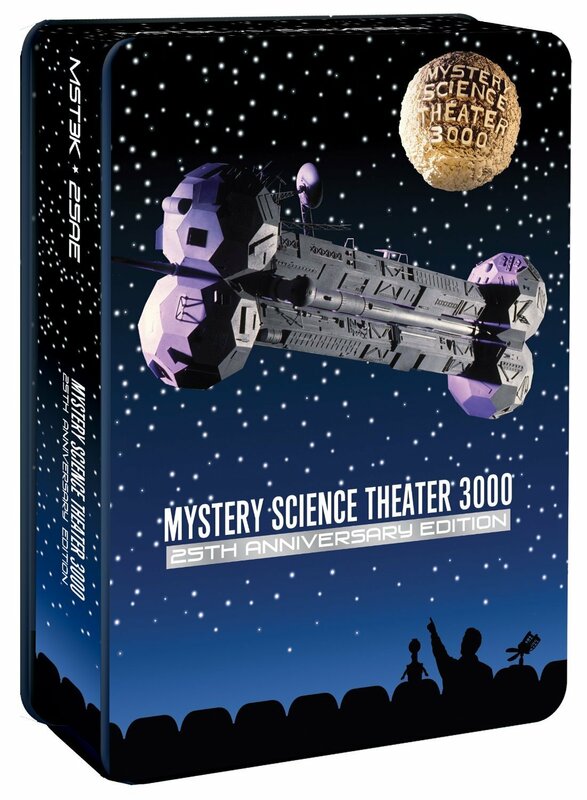 As befits a show that ran for 11 seasons and has had 25 years to accrue its following, Mystery Science Theater 3000 offers plenty of lines in the sand around which fans can declare their allegiances. Dr. Forrester v. Pearl. TV's Frank v. Dr. Erhardt. Comedy Central era v. Sci-Fi Channel era. (And maybe even v. KTMA era, but those people, we have no patience for.) Original-recipe Crow v. "I'm different!" Crow. The other bots v. the later other bots. But none is as line-in-the-sand-y as Joel v. Mike. The switchoff between the two hosts came almost exactly halfway through MST3K's run, marking a clear before and after while affording them both the same amount of time to put their stamps on the show. (That switchoff, occurring over the course of the Mitchell and The Brain That Wouldn't Die episodes, is helpfully included in the new DVD set.) With Joel having created it and Mike serving as longtime head writer, their importance to the show's development, content and voice was also about equal. Their hosting couldn't have been more different: Joel laconic and quippy, Mike bright-eyed and playful. Joel was tickled by the invention exchange, wherein he'd create goofy gadgets and give them punny names, like a literal waffle iron. (You know what we call that? Prop comedy.) Mike was the guy you'd call on to play various characters, not just in the Satellite sketches but also on the ground: Torgo (in all his forms, be they pizza delivery or celestial herald), Morrissey, Dr. Peanut and others. So with equal impact both on- and off-screen and two distinct performance styles, it's not all that surprising that battle lines would be drawn. But Mike had one thing Joel didn't: eagerness and enthusiasm. (Two things.) He leaped whole-heartedly into whatever it was he was doing. It's hard to imagine Joel playing a screaming Texas bar-be-cue sauce pitchman with anywhere near the gusto with which Mike sells just the single line, "Come on, steaks, you want some?!" Or enduring a time-consuming makeup process and gleefully playing a genial, totally loonball version of Jack Perkins to repackage the show as The Mystery Science Theater Hour for syndication. That's not to say that Joel never engaged in moments of extravagant goofiness. But his style was too dry, too detached for him to ever be entirely comfortable with that sort of thing. So instead, he was more of an observer of the goofiness at hand, acting as the calming parental figure to the bots whenever they threatened to spiral into irrational madness. Mike, on the other hand, joined in. He played with the bots. He committed. He could be any of a dozen people as the bit required. Joel, on the other hand, was always Joel. And so I long ago came down on side of the more unpopular opinion, favoring the latecomer and interloper over the creator and founder. I've been hiding it for too long, but today I stand proud and declare it loud: If forced to choose (but seriously, who does that? ), I choose Mike, and I don't care who knows it. I trust this matter is resolved. Also, for what it's worth, my favorite episode, bar none, is Mitchell. It marks the exact demarcation line between Joel and Mike. Everybody wins.